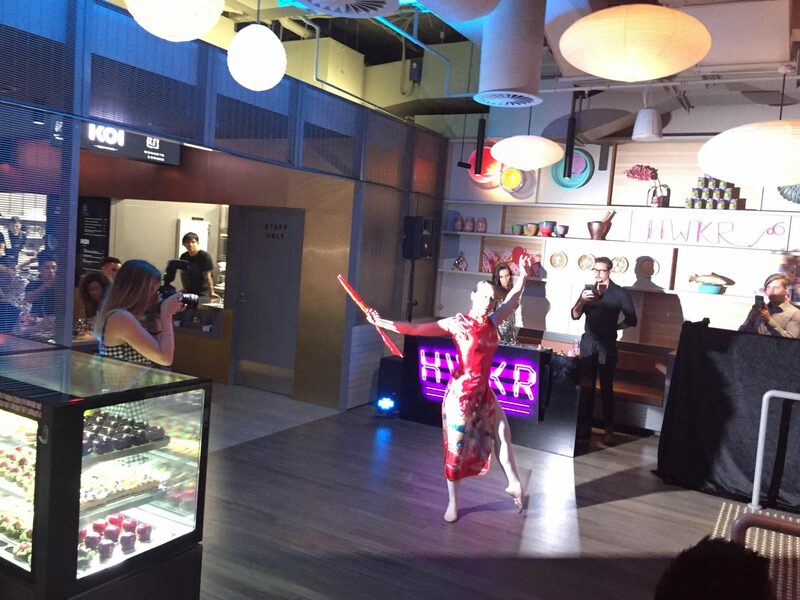 Launch the latest Asian inspired, hawker-style market – HWKR. Positioned beneath A’Beckett Street’s Eq. Tower, HWKR brings a unique dining experience to Melbourne. With four kitchens housing four local and international Asian food vendors at any time. First cabs off the rank include; MasterChef’s Diana Chan and Reynold Poernomo, Hong Kong’s Bread & Beast and the Melbourne-based Rice Paper Scissors, is testing its own new concept, Khao. 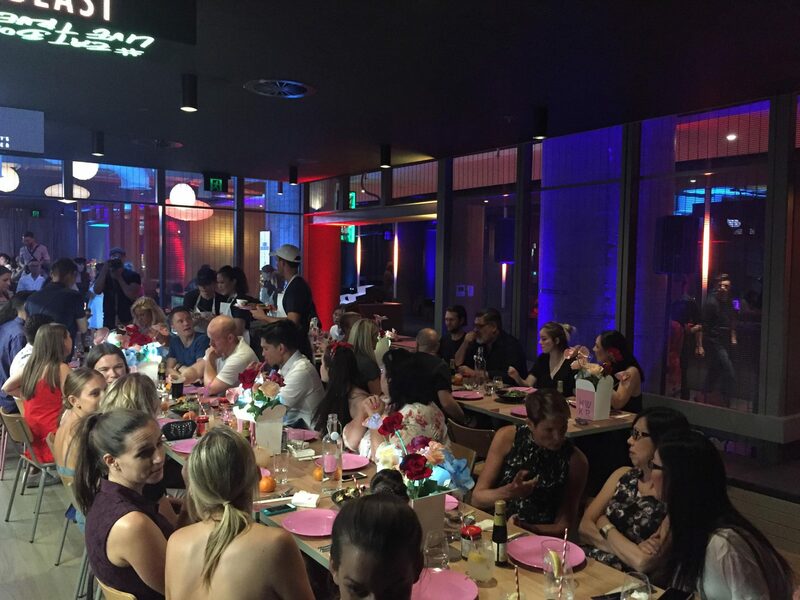 Our role was to create an atmosphere that reflected east Asian tradition with an edgy, contemporary feel. 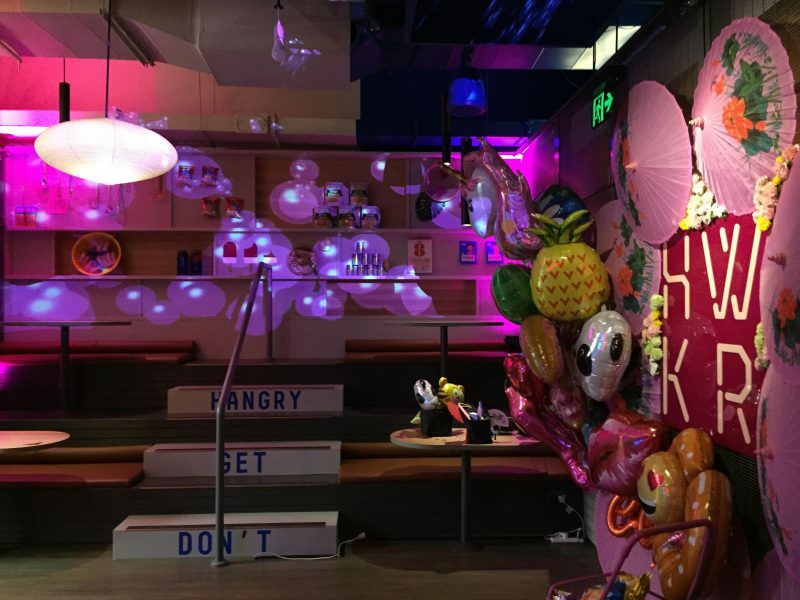 Show diversity between HWKR and each individual restaurant, support the performers and speakers and create a “reveal room” inside the restaurant area to house a media-wall and an open photo booth. All completed within a 3 weeks turn-around period. 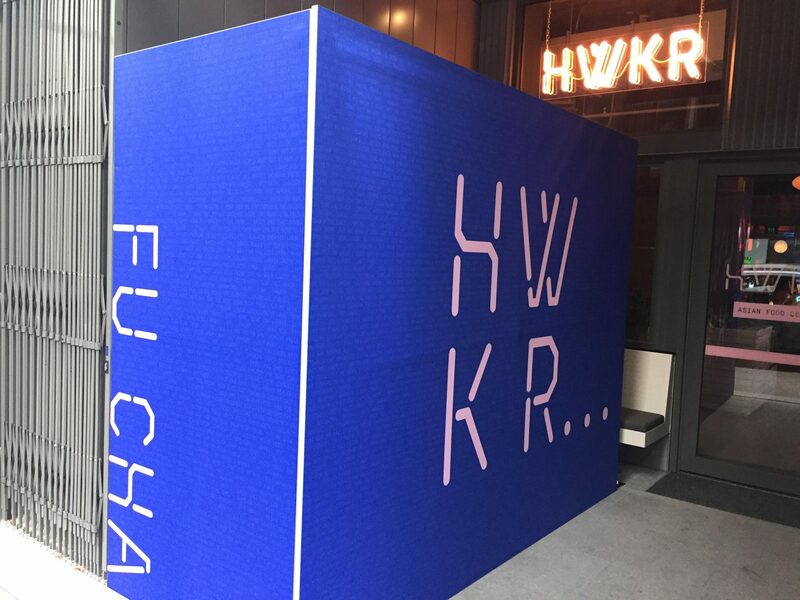 The audio-visual experience started on arrival where the HWKR logo shone with Japanese style neon lights. 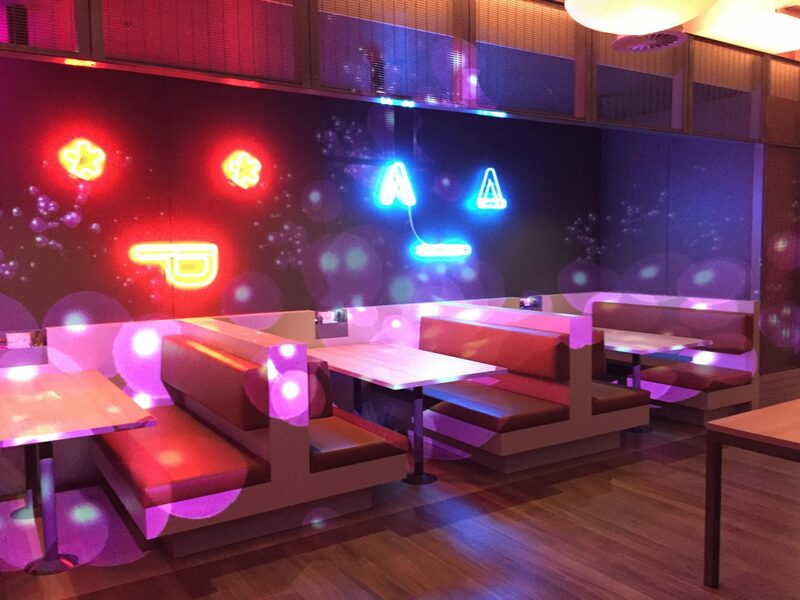 As you walk through, the sounds of a traditional Chinese market played from strategically positioned speakers and each restaurant had specially positioned lights that coincided with their branding. The highlight of the night was the “reveal room”. 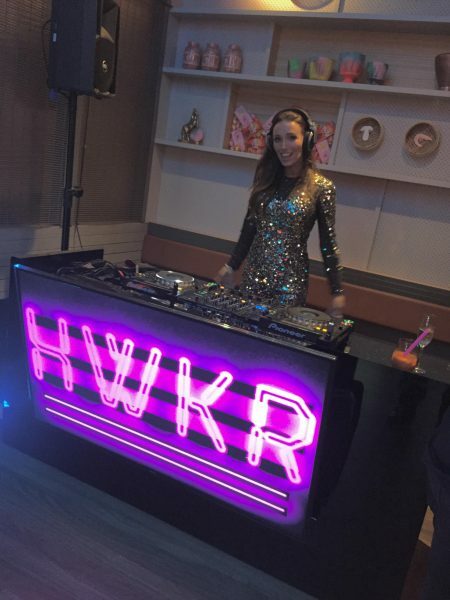 Using strategically positioned drapes, custom high-end projection mapping, a custom designed multi-media display wall and neon sound effects we created a room that made you feel like you’re inside a champagne bottle! Complete with pink bubbles bouncing on the walls and representing the fun and frivolity of the event. A queue of people wanting to experience the opening first hand were lining up down the street. The event had a huge impact, was covered by the best culture magazines and created a great platform for future success.